The State of Maryland prohibits drinking and driving. If you drink and drive, you may be arrested, fined, and/or sentenced to jail time. If you are arrested for drinking and driving, you should get a lawyer. It is a bad idea to try to represent yourself in court. The following is for general informational purposes only. In Maryland, there are two types of drinking and driving offenses. The second is called driving while impaired (commonly called DWI). A person who has a blood alcohol concentration of .07 is assumed to be impaired by alcohol. It is also crime to drive while impaired by drugs (even legal drugs), drugs and alcohol, or controlled dangerous substances like marijuana. A person under the age of 21 who drives with any alcohol in their system is breaking the law. If that person is caught, they will be arrested and charged with a DUI. When a police officer suspects that a person is driving, or attempting to drive, while impaired or under the influence of alcohol, the officer will ask to test the driver’s blood alcohol concentration. If the driver takes the test and the result is a BAC of .08 or above (or if the driver refuses to take the test), the officer will confiscate the person’s driver license, and the State of Maryland will suspend the person’s drive license. You will receive a temporary paper license that allows the driver to drive for 45 days. The suspension begins on the 46th day. License suspensions range from 45 days to a year, depending on the amount of alcohol and previous drunk driving offenses. There are increased penalties for drivers who are transporting children while impaired or under the influence of alcohol. The driver has a right to ask the Maryland Motor Vehicle Administration (MVA) for a hearing to review a license suspension. A request for a hearing must be sent in within 30 days to the MVA. If you want to make sure that your driving privilege is not suspended prior to your hearing, you must send a request for a hearing within 10 days of the traffic stop. If the driver does not request a hearing, the suspension will automatically begin on the 46th day. If the driver requested a hearing within 30 days, but not within 10 days, the suspension will automatically begin on the 46th day. A request made after the 10 days does not extend a temporary license issued by the police officer. A hearing request postmarked after the 30th day will be denied. Whether the person was involved in a motor vehicle accident that resulted in the death of another person. If, at the end of the hearing, the MVA’s Administrative Law Judge believes the driver was properly pulled over, warned, and failed or refused to take the test, the judge will suspend the person’s driver license. Under certain circumstances, a driver can request to participate in the Ignition Interlock System Program. The MVA monitors this program, where a driver can only operate a motor vehicle that is equipped with an ignition interlock device. The MVA has more information about this program on its website. If a person has been arrested for a DWI or DUI, he or she will be charged with a crime and must go to court. Drunk-driving offenses are misdemeanor crimes in Maryland. If a person is found guilty of a DWI or DUI, he or she faces a hefty fine and jail time. Penalties can range from a $500 fine and two months in jail up to a $4,000 fine and four years in jail. The Motor Vehicle Administration will put “points” on the record of any driver convicted of a DUI or DWI. Points stay on the driver’s record for two years. A driver who is convicted of a DWI will get 8 points, making him/her eligible for a license suspension. A driver who is convicted of a DUI will get 12 points, making him/her eligible for license revocation. The penalties and procedures for commercial license drivers may be different. Check out the Commercial Driver's License Manual from the Maryland Motor Vehicle Administration (MVA) for more information. Your local library has more information. The following resources may be helpful. 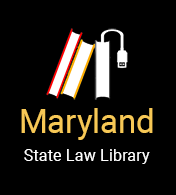 Maryland DUI Law (Maryland Practice Series, Volume 8). Leonard R. Stamm. Thomson West, published annually. Maryland DUI Manual: An In-Depth Guide to the Complexities of DUI Law (Hanford Publishing Co., 2002). William D. Paton, Leonard R. Stamm, Leonard H. Shapiro.